A 3-0 win at West Ham yesterday took our points total to 43 for the season, a record for us in the Premier League, on what was the strangest of days at this strangest of football stadiums, a day which started in vibrant mood but ended with a toxic atmosphere in all parts other than in the away fans section. West Ham have some major problems but, from our point of view, this was another good away day, certainly in the second half, when three goals, one from Austrian international elect Ashley Barnes and two from Chris Wood, gave us this big win and left us celebrating with the players at the end. It’s hard to know where to start but our start was around 7:30 a.m. for a trouble free drive down, our only travel problem coming at Epping Station when we found the car park full. We found street parking close by so that saved us the parking fee and soon after were making the walk from Stratford station up to the stadium. There had been a protest march planned by West Ham fans for this game but that had been cancelled during the week so it was a peaceful walk broken only by the shaking of buckets by home supporters collecting for young Isla Caton, whose name we have got to know on Up the Clarets over the past few days since Millwall supporter Tony Munday posted on the message board that he would be competing in a half marathon to raise much needed funds for the young West Ham fan’s treatment. Our seats were an improvement on last season. Then we were right behind the goals but this time they were into the corner where, at least, the big screen at the far end wasn’t quite as much a distraction. An unchanged Burnley team came out as the bubble machines worked overtime which the home fans sung about forever blowing and that was ahead of a tribute to the late Bobby Moore. With old team mates and his daughter on the pitch, it was an opportunity for the West Ham fans to pay tribute to their iconic former star in the first home game since the 25th anniversary of his passing. Moore, was no ordinary player. He’s right up there among the best English footballers I’ve ever seen who captained England to the World Cup success in 1966. He’ll always be remembered by the West Ham fans and this was a really nice touch. Then, finally, onto the game which is what the remainder of this report should have been about and is, as far as the first half is concerned. It wasn’t, however, a memorable half as far as we were concerned when we certainly didn’t look anything like the team that Sean Dyche suggested might show some mild arrogance. We never got going really in a half that, whilst hardly dominated by West Ham, was very much in the home side’s favour. We had one little spell around the half hour mark when it looked as though we might be getting on top, but otherwise it was the home side who looked the more likely and they probably should have had a goal for their efforts. They missed target a couple of times when they looked likely but twice Nick Pope had to intervene with good stops, both times with his legs. He firstly denied João Mário but bettered that with a save to keep out a Manual Lanzini, this one recovering his one mistake of the afternoon when he started to come out and then looked as if he’d been caught in no man’s land. What was said at half time in the dressing room, I don’t know, but I suspect Dyche said a few quiet words to them because from the minute the second half got underway we looked a different proposition. We were very much the team in the ascendancy now and were only denied an opening goal by an assistant referee’s offside flag that we quickly learned in the away end was an incorrect one. Stephen Ward, who had a hugely impressive game, got down the left, came inside to beat a defender before slipping the ball through for Barnes who pushed the ball past Joe Hart. We should have been in front. That opening goal wasn’t much longer in coming. Between the disallowed goal and the first one to count came our first change of the afternoon with Wood replacing Jeff Hendrick. The midfielder has come in for some, unnecessary in my view, stick in recent weeks. He’d played well here but Dyche decided it was time to go with two up top and it soon proved to be the correct decision. Matt Lowton received praise last week for the pass that set up Barnes to equalise against Everton. This time he played a beauty down the right flank which Wood got to. He did well too and turned inside before playing the ball across for Barnes, just inside the 18-yard-box, to hammer home and unstoppable shot. It brought a smile to the face of watching Austria coach Franco Foda, triggered delirium within the away support but, and very sadly, sparked off the demonstrations inside the stadium from a section of the home support. We’d expected something but the first sign of any trouble was the encroachment of one West Ham supporter on the pitch. He was followed by a couple more but not before Mark Noble, the West Ham captain, had hurled him to the ground. Incredibly, the fan was able to get off the pitch, over the advertising boards and had almost reached safety before any of the useless stewards were able to get close. Could or should Noble have been sent off for his actions? I don’t know the answer to that question but I thought referee Lee Mason handled that, and what followed, really well. The game had been held up for a while but once it restarted we went and upset things again almost immediately with a second. Ward was involved again down the left. He played the ball in to Jόhann Berg Guðmundsson who moved it on to Barnes with the striker then slipping the ball to Aaron Lennon. I thought Lennon was going to get his first Burnley goal but he got the ball in for Wood who turned it in from close range and the second hold up was on its way with one fan bringing on a corner flag and planting it on the centre spot. 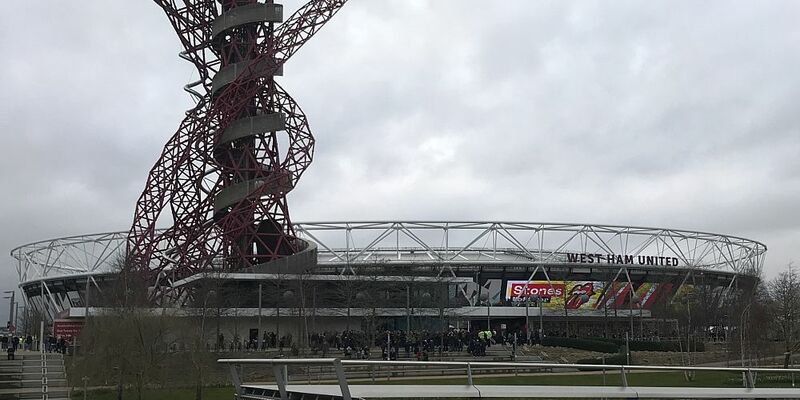 Unbeknown to us, the troubles were continuing elsewhere in the stadium, no more so than close to the directors’ box where the vitriol was aimed at David Sullivan, David Gold and Karren Brady. We couldn’t see either that the Burnley subs were bringing children into their dug out to ensure their safety. As spectators, we can never see just how much this can affect a team but there is no doubt that West Ham had all but gone by now. They did have one effort at goal, a header from their best player on the day Marko Arnautovic which went straight to Pope. It was really all Burnley by then and we completed the second half rout with nine minutes to go. Jack Cork and Ashley Westwood linked up down the right with Cork playing the ball in for Guðmundsson. He unleashed a shot that Hart didn’t deal with, Wood got on the rebound and it was 3-0 which only served to bring more on pitch problems with Barnes this time getting involved. “England’s, England’s number one,” sang the Burnley fans taunting Hart. I don’t know which goalkeepers Gareth Southgate will be taking to Russia but this is one who shouldn’t be anywhere near the plane. He’d be better off advertising his Head & Shoulders because he’s certainly far from being head and shoulders better than some other English goalkeepers. It was all over now. Sullivan and co were led away a few minutes from the end and we wondered just how long Mason would add on given the lengthy stoppages following each goal. He’d apparently spoken to safety people and both managers and when the ninety minutes was reached there was no sign of Graham Scott the fourth official with the board. Mason continued for almost two minutes but when the ball went out for a thrown in close to the tunnel he blew and that was that, as the protests continued in front of a now virtually empty directors’ box. Those protests were nothing to do with me and nothing to do with Burnley but I have to comment on the two sets of players and, in particular, the referee who handled the situation as well as possible. There was more than one occasion when I thought Mason might call it off but all credit to him, his common sense approach helped us get through. As for the West Ham fans; they have absolutely every right to protest. They have clearly been sold down the river with this stadium which really isn’t fit for football. They’ve lost their community at the Boleyn and the club seems to be going from one crisis to another. I’m sure I’d be protesting against our owners if we got lumbered with the likes of Sullivan and Gold. But, those protests yesterday really did go too far. It can’t be right when parents are leaving early because their children are frightened and it can’t be right if, as has been suggested, people have been hurt through the throwing of coins and the fighting. Well done to the Burnley players here too for bringing some of those children into the dug out and to safety. Keep up your protest. It is your right and football, generally, is behind you, but please be careful how you do it. What happened yesterday really wasn’t the acceptable way of making your point. To finish with the football, this was another good away day for us, and our first win on the road since that 2-1 victory at Bournemouth at the end of November. We’ve had some changes to deal with since. We had all of our back four out at times with injuries, Chris Wood up front too, and, of course, we’ve had to adjust to life on the pitch without both Robbie Brady and Steven Defour. Embed from Getty ImagesBut the strong jaw is always there, the commitment to the cause, and we’ve fought our way out and we are now on a run of just one defeat in the last six games. We’ve moved on to 43 points and, frankly, is there a Burnley fan anywhere who, in August, would not have accepted that even as a final points total? The journey home is always so much better after a win. The only disappointment now is we have to wait another three weeks until we play again. And for the statisticians, we have now won as many away games this season as we’d done in all our three previous Premier League seasons added together. West Ham: Joe Hart, James Collins, Angelo Ogbonna, Aaron Cresswell, Pablo Zabaleta, Mark Noble, Cheikhou Kouyaté, Michail Antonio, João Mário (Javier Hernández 71), Manuel Lanzini, Marko Arnautovic. Subs not used: Adrián, Declan Rice, Patrice Evra, Josh Cullen, Marcus Brown, Jordan Hugill. Yellow Cards: Aaron Cresswell, Manuel Lanzini. Burnley: Nick Pope, Matt Lowton, James Tarkowski, Ben Mee, Stephen Ward, Aaron Lennon, Ashley Westwood, Jack Cork, Jόhann Berg Guðmundsson, Jeff Hendrick (Chris Wood 61), Ashley Barnes (Sam Vokes 89). Subs not used: Anders Lindegaard, Phil Bardsley, Kevin Long, Dean Marney, Georges-Kévin NKoudou. Yellow Cards: Ashley Westwood, Aaron Lennon.